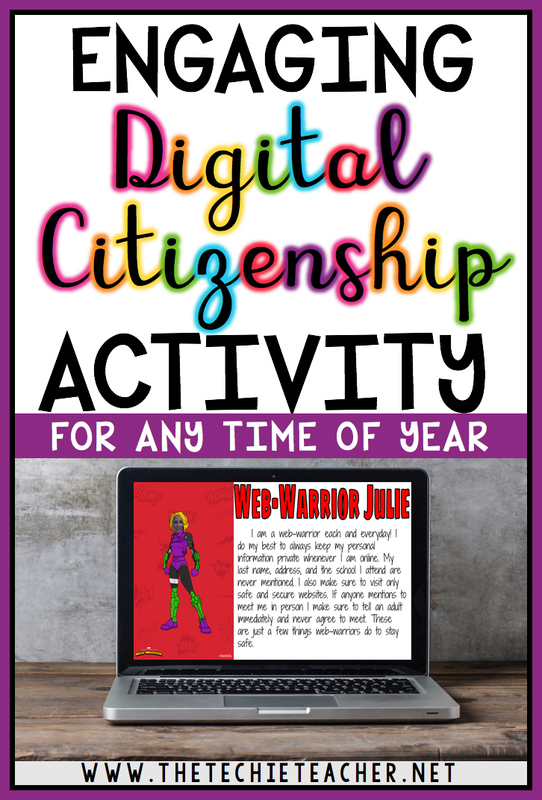 Engaging Digital Citizenship Activity for Any Time of Year | The Techie Teacher® . Digital Citizenship is an important topic that needs to be revisited throughout the year in every classroom. It should never be just a one and done unit that is taught at the beginning of the year and then never discussed again. Ideally digital citizenship should be introduced in kindergarten and continue through high school. 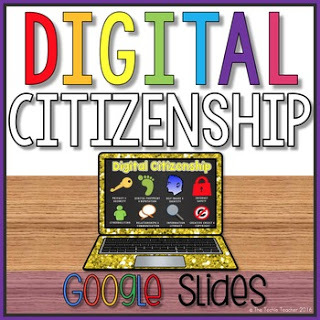 Where Can I Get Digital Citizenship Lesson Ideas? Commonsense Media has a very comprehensive digital citizenship curriculum that many schools use. It's GOOD stuff. In combination with these meaningful lesson plans I believe it is incredibly effective to weave in small discussions and demonstrations into your lessons. For instance, if you are having your students create presentations about a Famous American, take 5-10 minutes to review Creative Credit & Copyright. Model HOW TO take notes from websites they visit and create informative sentences in their own words. Show HOW TO visit websites like Photos For Class, Pixabay and Pics4Learning to find copyright free images that they can use in their presentations. It seems like this may be common sense but TIME is always our enemy as teachers. However, it is vital that we take just a few minutes to review the importance of respecting these topics so students know they are always held accountable for being responsible digital citizens. Digital Learning Day 2017 is Thursday, February 23rd. This day promotes how effective educational technology is in the classroom and its impact on student learning. Digital Learning Day empowers teachers and students to be leaders of innovation in and outside of the classroom. This special day is a great opportunity to revisit our role as responsible digital citizens. Have your students engage in a discussion, project or activity that will get them thinking about internet safety, privacy & security, cyberbullying, online reputations, self-identity, information literacy and/or creative credit & copyright. 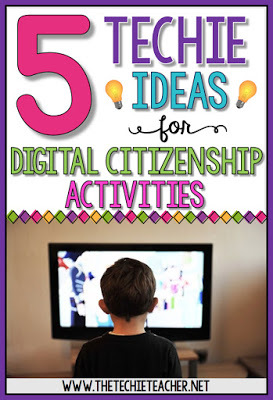 Last October I blogged about 5 Easy Techie Ideas for Digital Citizenship Activities that could easily be used throughout the year! Try out one or multiple of those activities for Digital Learning Day☺I have teamed up with my Tech with Us friends to bring YOU even more digital citizenship ideas for Digital Learning Day 2017. Consider this FUN activity below.. If you are thinking about carrying out this activity with your students, I would LOVE for you to come back and share their digital book to the Padlet wall below. Just remind them that they should not put their last name on their slide. If a student does not have a photo release form filed at your school, just have them skip the selfie portion of the project! 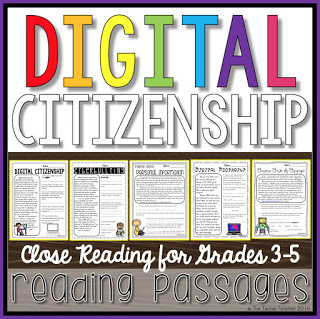 I hope you found some ideas to help you infuse digital citizenship into any online lessons. I've linked up with 5 other incredible technology-integrating educators from the Tech with Us Facebook Community to share more digital citizenship lessons and ideas in honor of Digital Learning Day on February 23rd. While the obvious goal of Digital Learning Day is to see digital learning find a place in schools all year long, it is also the perfect time to revisit digital citizenship a second time if you haven't yet this year. Click the links to learn more tips, ideas, and lessons for teaching digital citizenship on Digital Learning Day and beyond! Great ideas, Julie. Thank you so much for providing such informative posts. 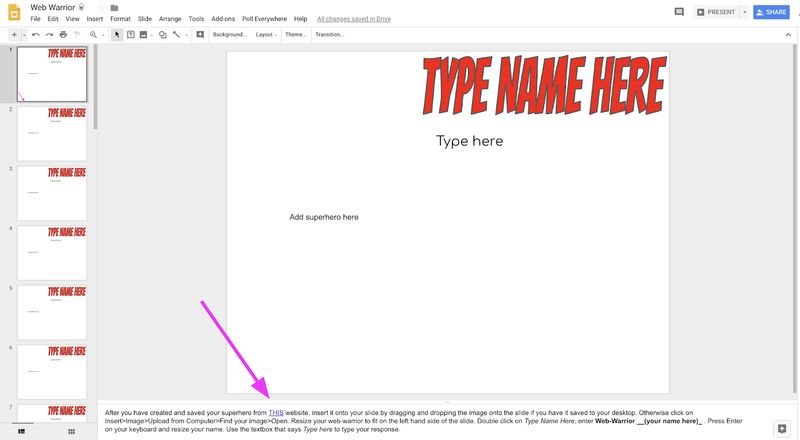 Thank you for sharing your links and google templates to use. I am always looking for new ways to integrate technology into my classroom and I love the idea of a digital collaborative book. What other subjects have you studied using the collaborative books? Thank you! I teach science so my brain is swirling with ideas of how to incorporate this in my classroom. For the Digital Warrior the "click here for template" isn't working. Wondering if you have it and can still share? Thank you for letting me know! I fixed the link :) Please try again.